The IAGA, headed by Joseph Mattingly is the premiere evaluation service for establishing the authenticity, value and provenance of your Indian artifact based assets. 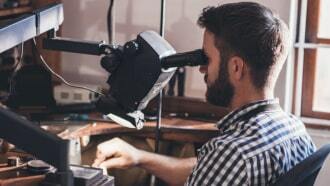 We are a professional service provider specializing in Indian Artifact Authentication, Grading, Appraisals and Liquidation with over 30 years of experience. 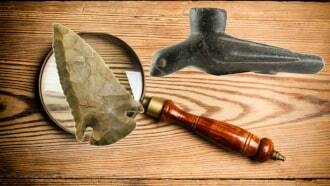 Each artifact submitted to the IAGA is evaluated with the highest of standards. Our staff, headed by Joseph Mattingly has over 30 years of experience with Indian artifacts. Joseph’s qualifications include a Bachelor’s degree in Fine Arts and Physical Anthropology, Authentication Methodology, as well as National Museum Curation and Collection Work. He has scientifically examined countless authentic Indian artifacts and utilizes that experience on each evaluation. Services provided by The Indian Artifact Grading Authority assist clients with establishing the authenticity, value and provenance of their Native American artifacts. Whether you are new to Indian artifacts or a lifelong collector, the IAGA will meet your needs. "The premiere evaluation service for prehistoric Native American artifacts"
We offer a comprehensive Indian Artifact Authentication Service for those wishing to determine the authenticity of their Native American Artifacts. We provide a professional Appraisal Service for those wishing to assess a fair market value for their individual Native American Artifacts and collections. Do you have artifacts you would like to sell? 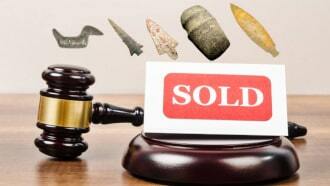 We can help you sell a single artifact or an entire collection. Contact us today for a free consultation.